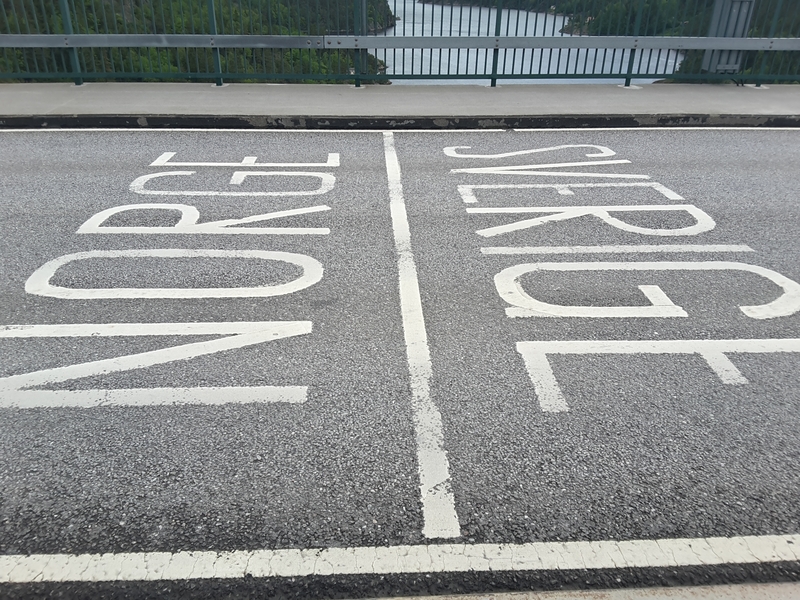 After only arriving in Norway yesterday, it was time to leave. Being less than 20 miles from the border Swedish border it didn’t take long and after my first hill of the trip I was there around 11 am. It was only once I had reached this hill that I realised it had barely climbed any hills so far. Although this was good I was keen to test my legs. I tried to sprint up the first incline but the bike didn’t want to join me! It felt like somebody was pulling me downhill. Slowly but surely I made the rest, but as the bike all loaded up with my kit is probably a similar weight to me, any uphills really slows the progress down. I’m starting to regreting planning to go over the alps and pyrenees! 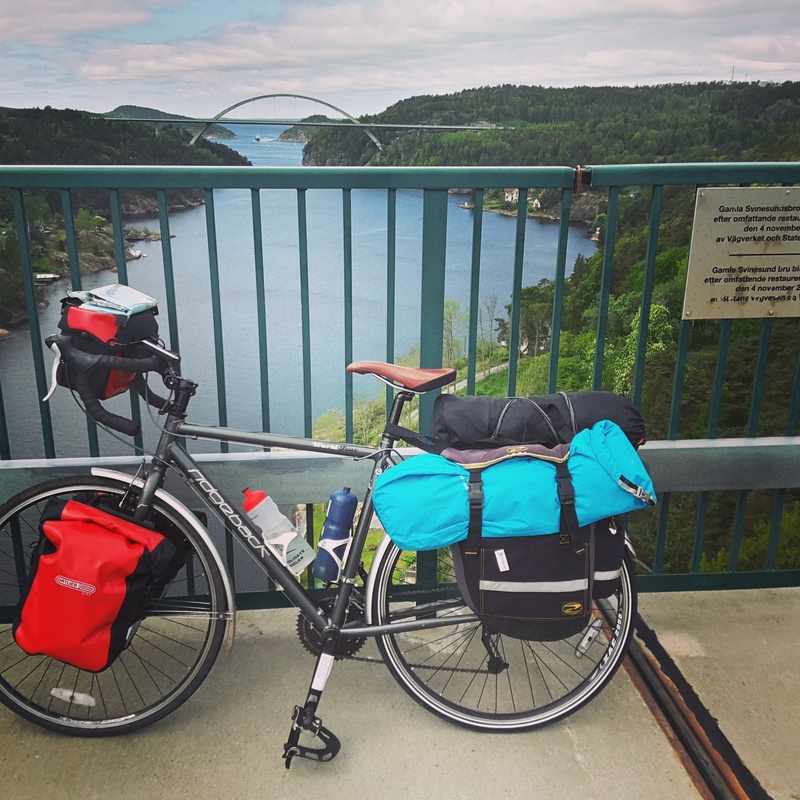 After passing the “goods to declare” turning and deciding I didn’t, I went straight though the automatic tolls, where bikes were free, a good welcome to Sweden! The view from the middle of the bridge joining the two countries was very windy yet extremely stunning. A great opportunity to take the first photo of the day. As I crossed the bridge is remembered to still had a few Norwegian pennies left so was lucky to still be able to use them at the next shop, stocking up on snacks. Around 1pm I came to Stromstad, a fairly large town where I was able to buy lunch and pasta for an evening meal. About half an hour later I emerged from the shop after using the currency converter app on my phone several times. A quick lunch by some water and I was off again. Like Norway, there seems to be cycle paths on most major roads which is great. The UK government should follow their example! The only downside is that my map doesn’t show them but they are easy to come across due the number of them! Checking on my map, I could see a campsite in Grebbestad, around 20 miles away so changed my direction towards this. Enroute I soon saw a sign to a national park so did a short detour to this, where conifers were in hundreds! 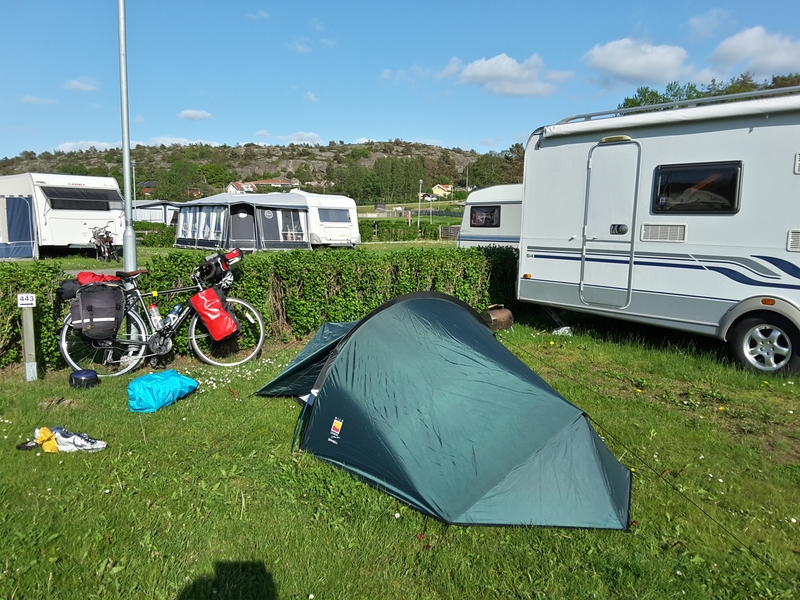 Five thirty and I reached the campsite, which after paying a reasonable 200 SEK ( £16), I pitched up my tent the first time this trip. And was successful! Off to make my supper with the sun still shining! I’m uploading this on the campsite’s free five minute WiFi, so apologies if some is missing, my time might have expired! Man this looks amazing ceri. Have an incredible time man I’m so jealous! Excited to read the rest of your blogs too! Me too, fond memories of Norge and Sverige and dear old Danmark! I am sure it will be loads of fun. The people are all sweet (and speak great english!). Yes amazing scenery here, so many cycle paths as well. 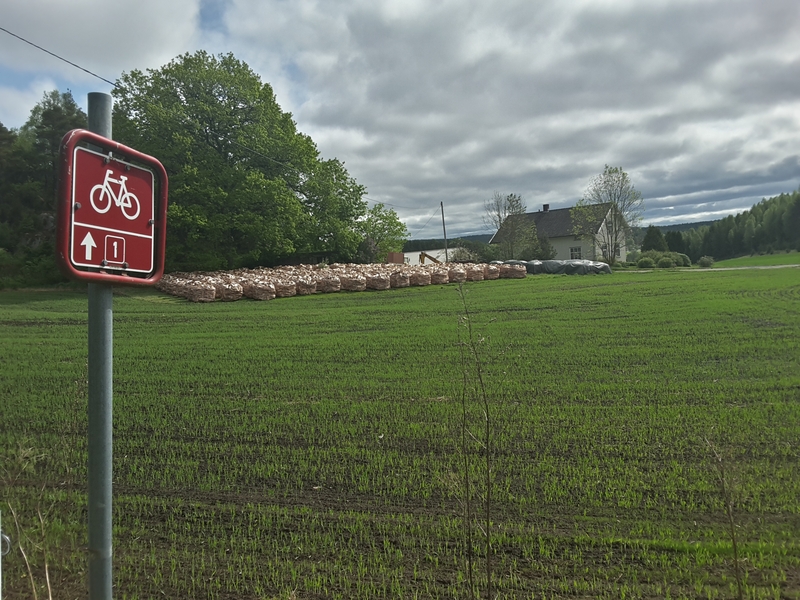 But when I mention this to local cyclists, they say Denmark has many, many more cycle paths to choose from!